Time to sell your Mariner condo? Read about today's resort-market condo buyer. 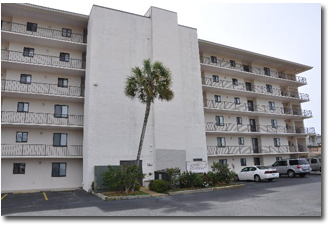 The Mariner is located in central Perdido Key, Florida, fairly close to the Alabama state line and Orange Beach, Alabama. Some of the area attractions near the Mariner condos include the world-famous Flora-Bama lounge and the Wharf Amphitheater in Orange Beach, as well as other local favorites such as the Lost Key Golf Club. Pensacola's regional airport is approximately 30 minutes east. The Mariner condos were built in 1973 and consist of 72 Gulf-front condos. The Mariner condos all sit directly on the Gulf of Mexico and make great second home condos or even primary residences on the beautiful white-sand beaches of the Gulf and its emerald-green waters. Amenities at The Mariner include boating facilities, fishing pier, lighted tennis courts, community clubhouse, and outdoor pool. Please let us know if you would like further info for the Mariner or any other condos, homes, or real estate along the Gulf Coast or would like to schedule a private viewing by emailing info@condoinvestment.com or by calling 251-Area-Pro (251-273-2776) for immediate assistance.